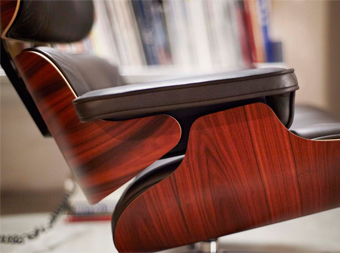 The Eames lounge chair is one of the most iconic pieces of American furniture and design. But, like all great designs, the Eames chair has a long history that stretches back a long time before the chair was created. The chair wasn’t born overnight from a fully formed idea; there was a whole lot of brainstorming sessions, testing and prototyping to come up with the perfect design. It came from the office of the legendary design team of Charles and Ray Eames. The office was a hub of design and innovation and is the same place where the very first moulded plywood chairs were built. This was the first step in designing the chair that soon became so popular. It first appeared on the Arlene Francis Home show, broadcast on NBC in 1956. One notable advertisement was produced by the Eameses for Herman Miller warning customers against imitations and knockoffs. This shows just how iconic the chair really was at the time. The striking design of the Eames lounge chair has made it a favourite even today. The technique of moulded plywood was new at the time, which gave the chair a bold and unique design. By super-heating the wood they could bend it into perfectly smooth curves that had never been possible before. It has makings in Hollywood, as Ray and Charles Eames were good friends with Billy Wilder. The famous director would often create makeshift lounge chairs for himself in between takes. This in part inspired them to create a lounge chair that embraced the ideals of comfort and simplicity. 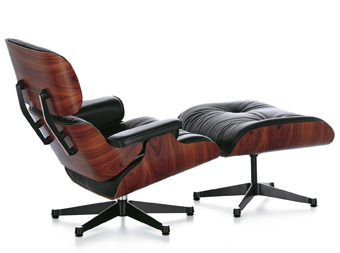 The Eames lounge chair and ottoman have become a recognisable and lasting configuration that stands the test of time. The chair trademark design of the chair features both traditional and modern design elements, mixing the moulded veneer with the comfort of leather and soft furnishings. Even the materials that the chair is made from play an important part in the experience of the user. The set has maintained the same timeless design to this day, with the added difference of being able to choose the finish from different wooden veneers and leathers. The Eames Chair is a quality product and every piece is finished to the same high standards and level of workmanship. Although the elegant design of the chair is important, the aim was to create a chair that also offered the best comfort. The chair remains one of the most popular in the market due to its unbeatable comfort. The original design was made by hand but the modern chair blends this high level of detail with the advantages of mass production techniques. The chairs are hand assembled with great care so you can be sure that you are getting a quality product. The cushions are individually upholstered and replaceable. The Eames lounge chair was one of the first major designs to be produced by Herman Miller and has an enduring popularity. The company became widely known as a leading brand in luxury furniture for both the office and the home. Their office chair products such as the Aeron and the Sayl take most of the attention now but they are still committed to producing furniture of a high standard for everyone. 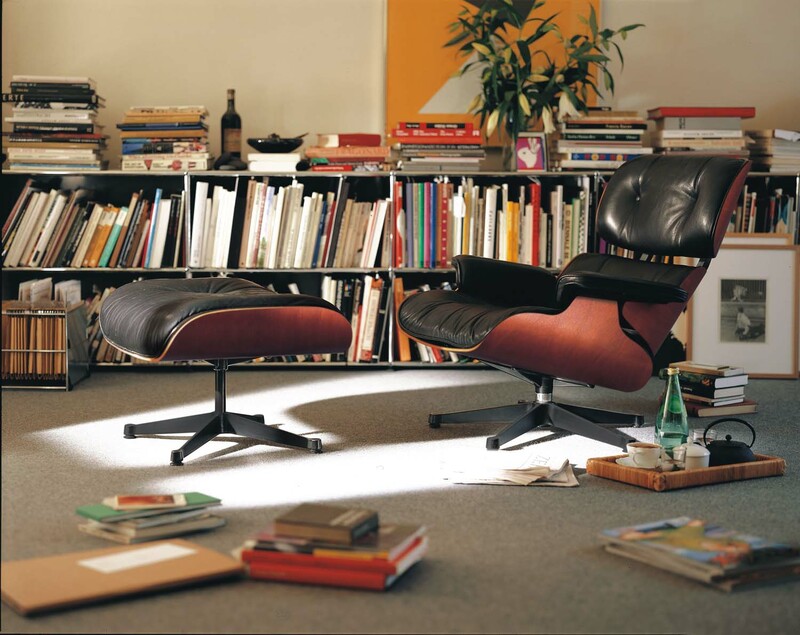 In Europe, Vitra have been manufacturing the Eames Lounge chair since the 1950s. Due to average human height increasing by 10cm since the chair's inception, Vitra have worked with Eames Office to create a larger version to accomodate taller people. Order your Vitra Eames Lounge Chair from Office Chairs UK, available in a variety of differiing leather colours and wood veneers.